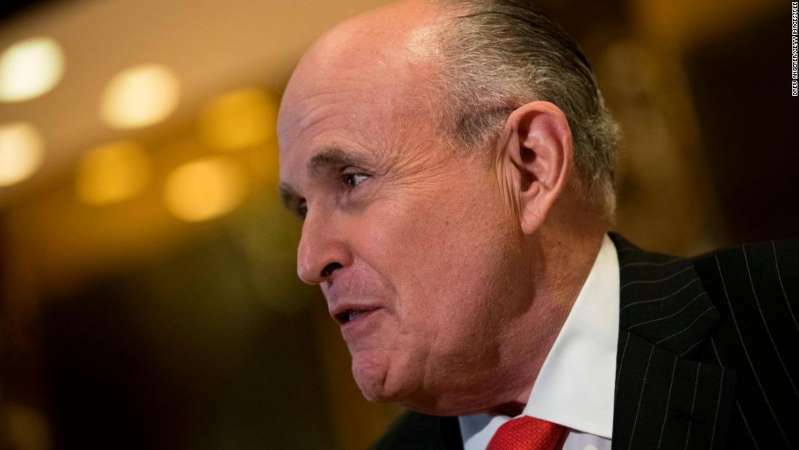 Rudy Giuliani said Saturday that "there is a good chance" that three Americans detained in North Korea "will be released over the next several days" despite saying Thursday that the release would take place that day. "There is a good chance that the three long-time hostages in North Korea will be released over the next several days," Giuliani said in a speech at the Iran Freedom Convention in Washington, DC, on Saturday. "I pray that that happens." On Thursday, the former New York City mayor, who recently joined President Donald Trump's personal legal team, predicted in an interview on "Fox & Friends" that the release would happen within the day. "We got Kim Jong Un impressed enough to be releasing three prisoners today," he said then. Talking points from the White House later that same day did not match Giuliani's assertion, however. "We can't confirm the validity of any of the reports currently out about their release," White House press secretary Sarah Sanders told reporters. Sanders added that the administration "certainly would see this as a sign of goodwill if North Korea were to release the three Americans ahead of discussions between President Trump and Kim Jong Un." Trump and the North Korean leader are expected to meet soon in a historic summit. After his speech Saturday, Giuliani was asked by CNN if the President had talked to him about the "status of the three American hostages." "I don't know the status of them," Giuliani replied, adding, "I'm praying it'll get done." When asked what changed after his comments Thursday, Giuliani said, "nothing's changed. They're working on it. I'm not privy to what they're doing. I'm reading the newspapers like you are." Giuliani also said after the speech, "the less said about it right now, the better ... but we could have three people released," when asked by a reporter what he anticipates happening with North Korea. On Friday, Trump said a date and location for the highly anticipated meeting has been determined and will soon be announced.